Besides delivering a quantifiable method for tracking performance, accounting also enables people to evaluate operations. Courtesy of a never-ending financial ratios list, professionals can utilize various calculations from financial statements to pinpoint the standing of their company. In fact, one of the most powerful ways to utilize income statements is to conduct in-depth ratio analyses that showcase how efficiently an organization takes advantage of its assets, how fast it conducts sales, and much more. So, what are some of the most important financial ratios? Liquidity ratios – depict the company’s ability to cover its debt. Leverage ratios – measure how much of the company’s assets come from debt like loans. Profitability ratios – indicate the amount of income that the company retains from its original sales. Efficiency ratios – showcase how well some company uses its assets. Market Value ratios – analyze the stock price to evaluate if it is over/underpriced. Expectedly, all five of these categories carry no less than four highly important formulas that offer insight into the company’s operations. Nevertheless, there are a few ratios that the investors rely on more when it comes to evaluating if they should invest in the company. Thus, below is a comprehensive analysis of the four of the most important ratios that one should keep in mind. The current ratio is arguably one of the most essential formulas that belong to the “Liquidity” group. It is calculated by dividing the company’s total current assets by total current liabilities. Hence the name of the ratio that quite explicitly reminds of what numbers should be utilized. Another common name for this ratio is the “Net Working Capital” ratio as it demonstrates how likely some company is to cover all of its short-term liabilities. For those unfamiliar, these liabilities will be the ones that must be re-paid within less than a year. Thus, the assets that will be used to pay with must come from the short-term accounts as well. These include things like the company’s cash and cash equivalents, inventories, accounts receivables, and similar. To further understand the purpose of this ratio, consider the following example. 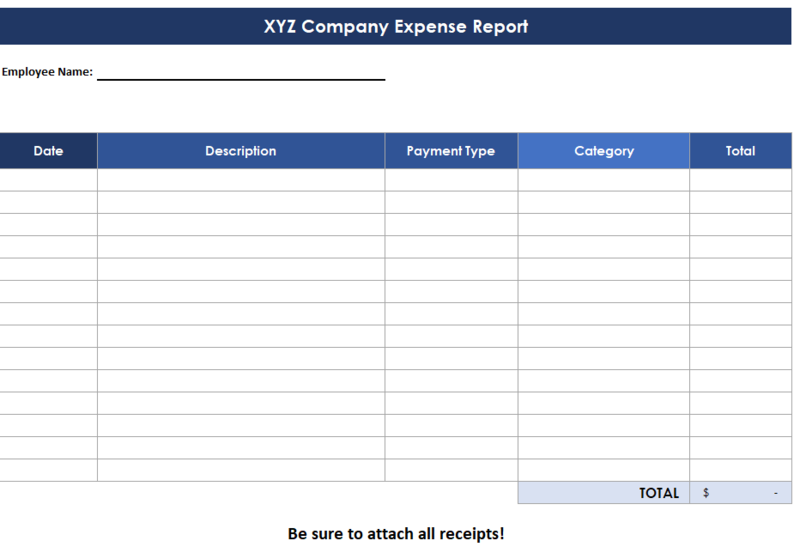 An XYZ corporation has $10 million in cash, $3 million in inventory, and $11 million in accounts payable. First, one must recognize that the cash and inventory accounts belong to the short-term assets. Consequently, the accounts payable balance will constitute the short-term liabilities. So, the current assets amount to $13 million while the current liabilities are $11 million. When this is used to calculate the ratio, one will get a final result of 1.18 (13 divided by 11). In translation, the aforementioned example indicates that the company has $1.18 in assets for every $1 of its liabilities. Thus, it is solvent as its current assets overpower the outstanding balance of its current liabilities. Generally speaking, any ratio that goes above 1 indicates that a company is solvent. Nevertheless, businesses should aim to keep their current ratio well above “one” as they should possess the capability to cover their debt a few times over. Consequently, the odds of becoming insolvent will be minimized and their operational longevity will be prolonged. A closely related ratio to the current ratio is the quick ratio, which is also known as the acid-test ratio. This is a liquidity ratio that measures the level of the most liquid current assets to see if they will cover current liabilities. Also known as the risk or gearing ratio, the debt-to-equity ratio compares some company’s liabilities to their stockholder’s equity. Going back to the basic accounting equation, one should know that total assets must equal to the sum of total liabilities and shareholders’ equity. Thus, this formula takes into account the entire left side of the equation while not focusing on the assets. As such, it falls within the “Leverage” group. The formula for calculating the debt-to-leverage ratio is total liabilities divided by the total equity from the balance sheet. In translation, the final result will show how much debt some company needed to develop their assets as opposed to getting funding from their shareholders. Think about the following example to better comprehend what the true purpose of the formula is. The same XYZ corporation currently holds three mortgages amounting to $5 million each. Additionally, they have $4 million in stockholder’s equity. After calculating the formula based on those inputs, one will see that their debt-to-equity ratio is 3.75. As always, however, the number by itself shows very little. In fact, absent proper follow-up explanation, most investors would find this ratio to be futile. Since the ratio was found to be 3.75, one can say that the corporation in question is currently taking out $3.75 in loans for every $1 that it receives from its investors. Similarly, one could say that the value of its liabilities is 375 percent of the current stockholders’ equity. So, does this indicate a positive or a negative track record? Well, it depends. Accounting is not a cookie-cutter practice where numbers can be taken at their face value. Instead, one must be highly aware of the industry in which someone operates. For instance, having a 3.75 debt-to-equity ratio would be considered moderate for a start-up venture. In case of an established company, however, such a high ratio could mean a very low involvement from the shareholders and indicate an upcoming train wreck. In general, however, the lower the ratio, the better it is for the business. Another factor to consider is long-term debt vs short-term debt as that can have an impact on the company’s ability to manage cash flow. As a member of the “Profitability” group, the return on assets (ROA) will indicate how efficiently a company is using its assets when it comes to generating sales. In other words, this formula will provide an insight into how well some company is investing in its capital assets when it comes to the most obvious tangible outcome – revenues. As far as the calculation, one can derive this formula by dividing the final net income by the total assets from the company’s income statement and balance sheet. So, if the XYZ corporation has net income of $2 million that was achieved by using $10 million of total assets, their ROA will be 0.2 or 20 percent. In other words, for every $1 invested into the capital assets, the company gets 20 cents in net income. Given the volatile results that this formula provides, it is important to recognize how dependent the ROA is to one’s industry. For instance, a business like Apple will have much more assets than an online-based organization like Yahoo, per se. Consequently, the standards for their ROA will differ significantly. Although all of the aforementioned formulas are crucial to accurately decipher complicated income statements, the book value per share ratio is probably where most investors will begin their research. As expected, it showcases how much money every shareholder will receive in case that the business dissolves. Depending on whether one wants to see what the book value per common/preferred share is, the formula used will be slightly different. In the case of a common shareholder, they will divide the total stockholders’ equity without the preferred equity portion by the total outstanding shares. That way, they are not miscalculating what is coming to them by including the preferred equity. If one happens to be a preferred shareholder, however, they will also include all of the outstanding dividends that are owed to preferred shareholders to the total shareholders’ equity. After all, these investors get priority on any assets that will be given to the investors in case of a company’s downturn. One of the most obvious shortcomings of financial ratio analysis is the fact that they are easily manipulated. For example, a company wanting to increase its liquidity ratios could effortlessly do so fast by simply holding on to their cash. As a consequence, the investors might be led to believe that certain improvements such as better cash flow or inventory turnover are organic when, instead, they are a mere byproduct of different financial recording or intentional mishandling. Also, it is important to recognize that all key financial ratios can be useless when the financial statements of two companies from different industries are compared. Think back to the example of Apple and Yahoo. In fact, it is practically fruitless to rely on financial ratios when attempting to perform financial analysis on two investment opportunities. Nevertheless, knowing the basics and ability to look at common size ratios will allow one to better comprehend where a company stands when it comes to its relative operations and recent performance.